This helmet is a classic example of gladiator armor at its finest. The Gladiator Thraex Helmet is an impressive and visually complex helmet that will not only draw the attention of the crowd, but also provide an impressive degree of protection. The top of this helmet is capped with a broad, relatively unadorned crest that curves up from the helmets surface, before ending in an almost avian-like decoration. Many Thraex-styled helmets featured a griffon, which was the companion of Nemesis, the goddess of vengeance and retribution, and this helm is perhaps no different. 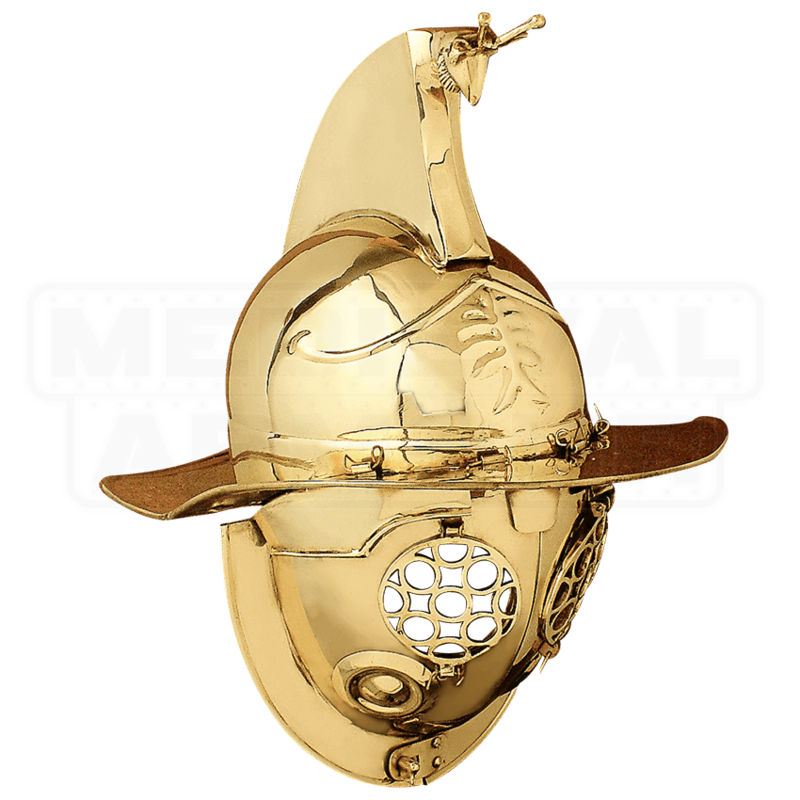 The front of the helmet features a subtly embossed palm tree, perhaps symbolic of the palm leaf that was sometimes awarded to the victors of the arena. A large brim wraps around the top of the helmet as added protection. The helm covers the wearers face and collar completely, leaving only small, mesh-covered eye-holes open for the wearer to see through. 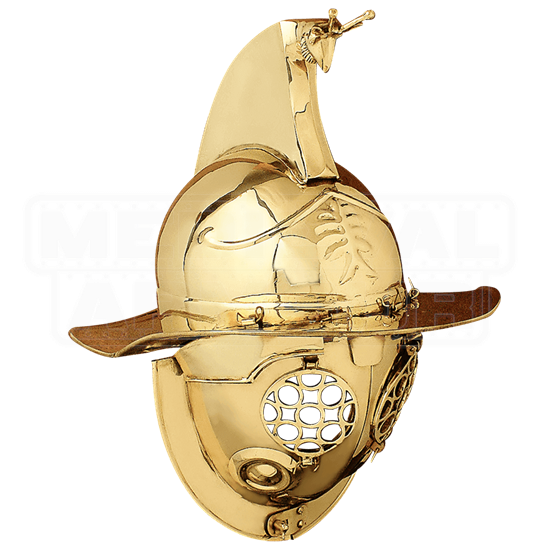 The helmet is made from quality brass metal and features an impressive polished finish. If you want protection and looks, all in one amazing helmet, then you have found just that in this Gladiator Thraex Helmet. Wear it with a gladiatorial costume and your foes will quiver in their sandals, or display it among your collection to leave onlookers awed and amazed.